You guys. It’s almost grilling season. Although in Texas, in never really leaves. (Unless it’s raining. Stupid rain.) I absolutely love grilling season! Grilling is such a wonderful way to bring out delicious flavor in meats, veggies and fruit. Plus, it’s just a fun way to get outside and enjoy the nice weather! And one of my favorite things to grill is fruit. The way the grill caramelizes the natural sugar in the fruit elevates it to a whole new level. 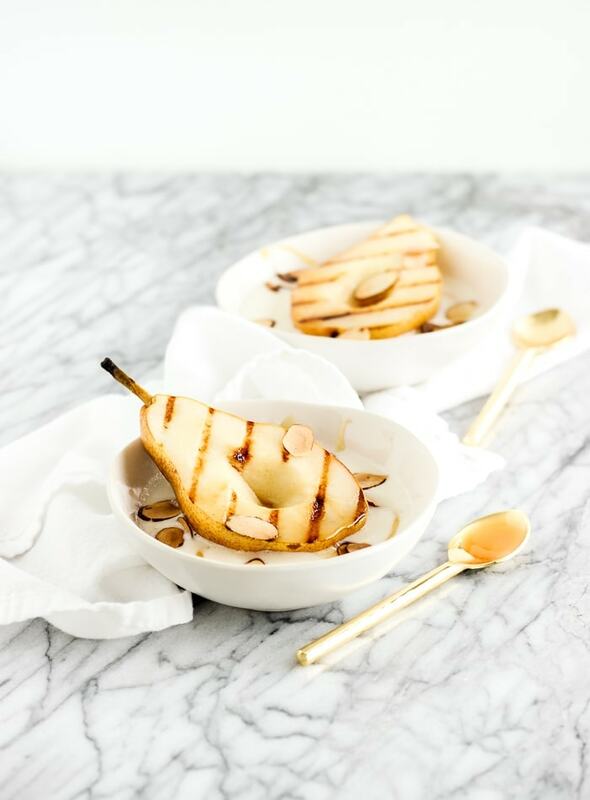 Pears aren’t a traditional summer fruit, but they are a fantastic fruit to grill, and they taste amazing with ricotta that’s been whipped with a touch of honey. Fruit and cheese together are one of my favorite pairings, if you can’t tell by now! 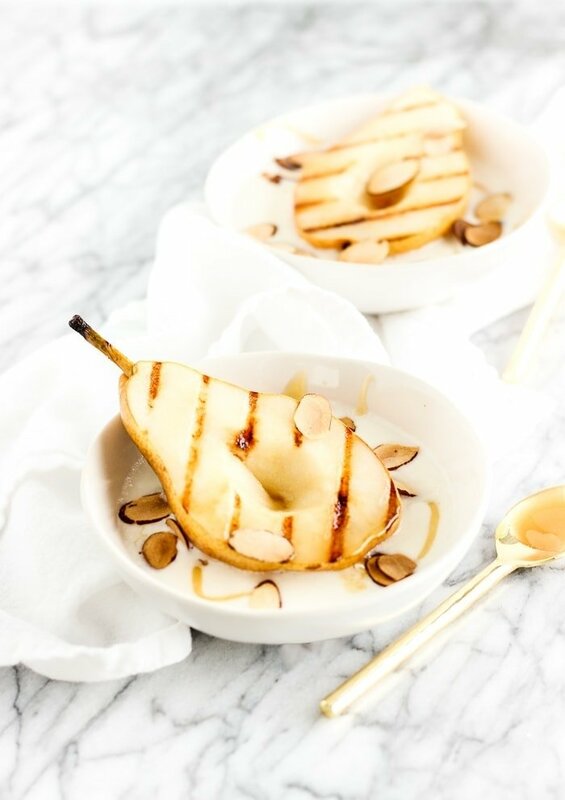 With this sweet pairing, you’re just a few simple ingredients to a healthy, delicious snack or dessert! 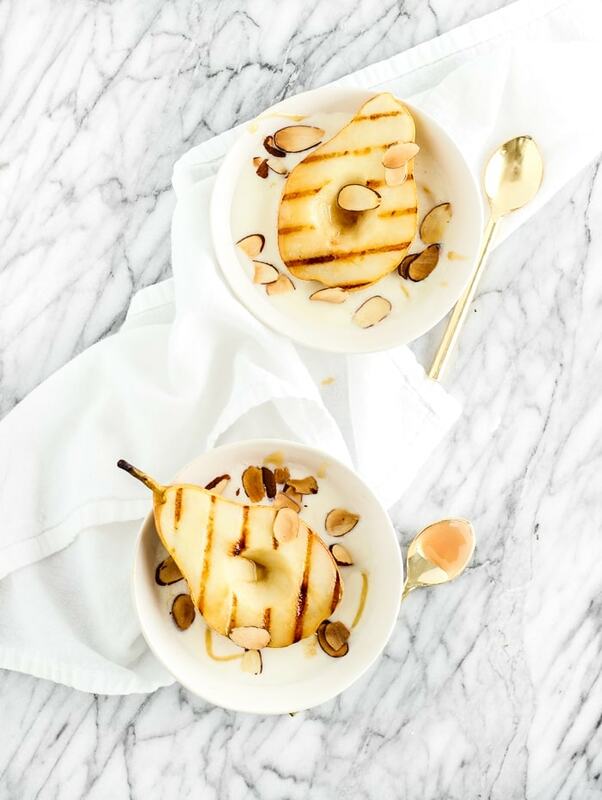 Now you have no excuse not to make a super easy snack of Grilled Pears with Honey Whipped Ricotta! I promise that once you start grilling fruit, you will never look back! Do you ever grill fruits? What are your favorite foods to grill? Let me know in the comments below! Make sure grill is clean and free of debris. Heat grill or grill pan to medium heat. Core pear and cut into halves. Lightly coat the fleshy side with olive oil. Place flesh side down and grill, covered, for 5-10 minutes or until heated through. Remove from grill. I love grilled fruit and ricotta – what a fabulous pairing! Good luck in the contest Kaleigh! This looks sooo good! 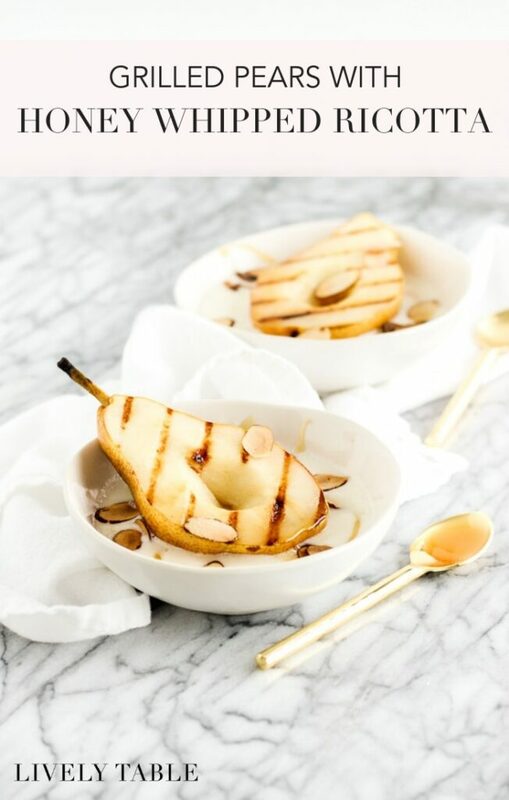 I love baked pears with a little vanilla ice cream – but this is a much healthier and fun version of this classic dessert. 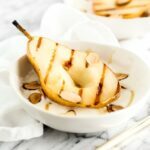 I love grilled fruit but have not tried pears yet. Love the addition of the whipped ricotta. Yum! Thanks Kelli! Ohh I love grilled peaches too. I can’t wait for them to be in season! Whahhhh? You can whip ricotta? I think I might be driving to the store today. Beautiful pics Kaleigh! Thank you, Serena! Yes, it’s a little less grainy than plain ricotta! This looks like an absolutely perfect summer dessert! And so cute the way you arranged it in the glass! I think I’ll have to make this next time my mother in law comes to dinner. She allergic to a lot of things and it’s hard to find desserts she can eat! But she can actually eat everything in this recipe. I’m sure it’s going to be a hit.